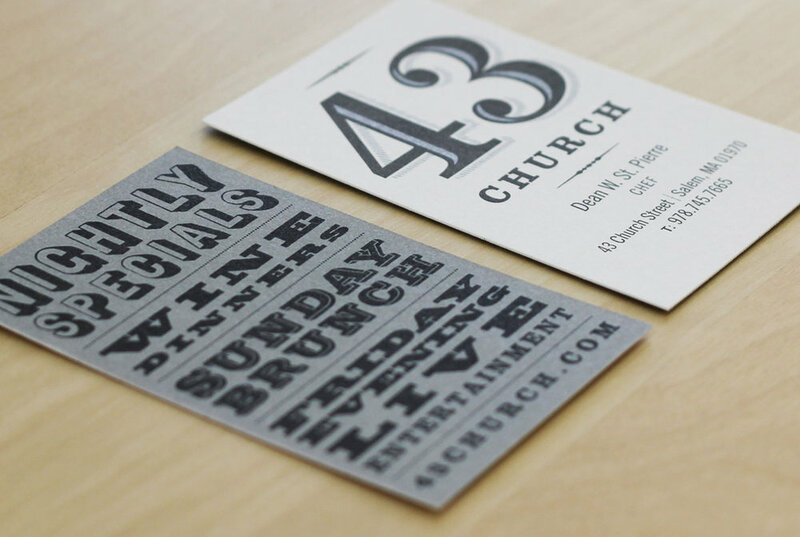 43 Church is a restaurant in Salem, MA located in Lyceum Hall in the historic downtown district, a building that was home to much history including the receiver of the first call from Alexander Graham Bell. The client came to us looking to reinvent their identity, along with a new menu. With that in mind, we chose to pay homage to the unique history of the building and town. We wanted an identity which would reflect their warm, comfortable, historical setting, with a modern twist.